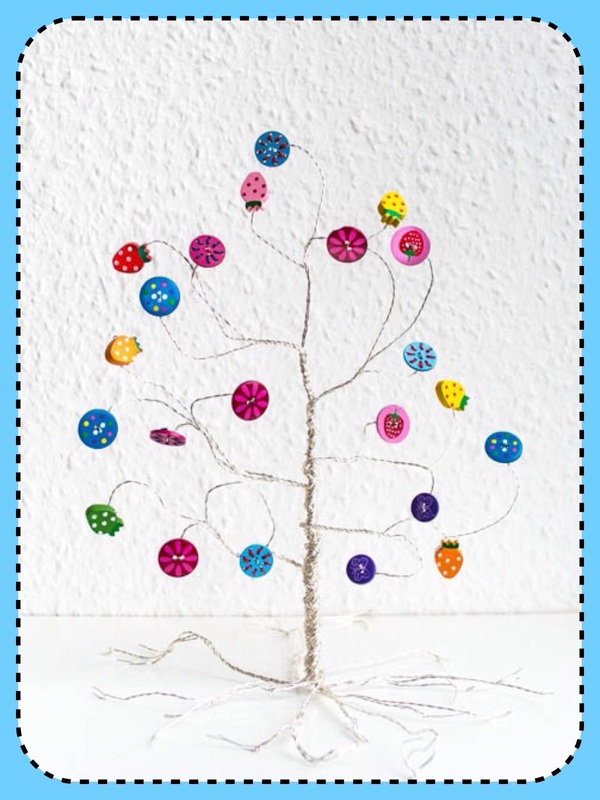 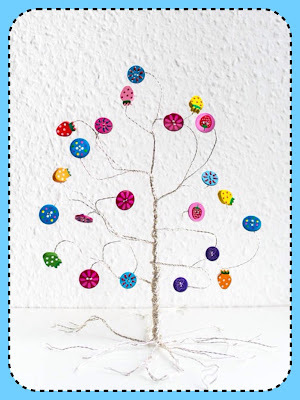 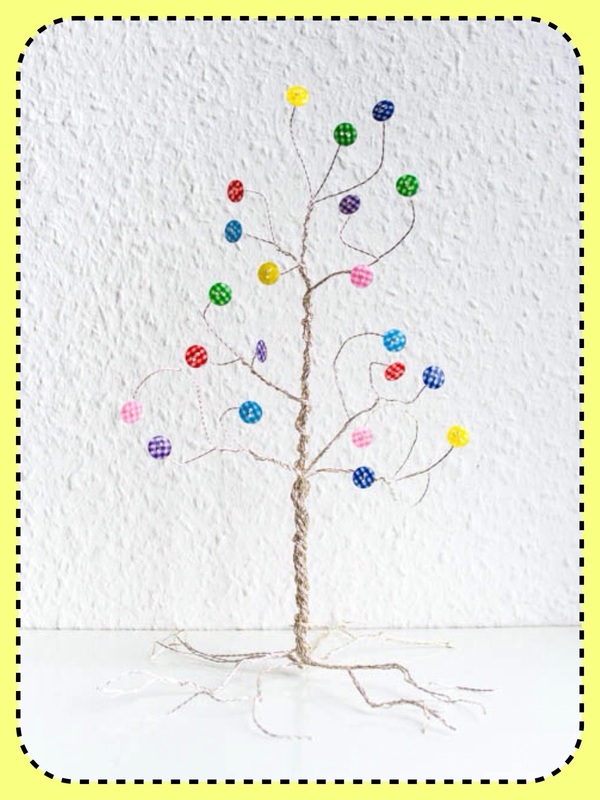 The idea is really nice, but I must say I've encountered some difficulties in making the tree, so I said to my self I should make another tutorial with more detailed information. 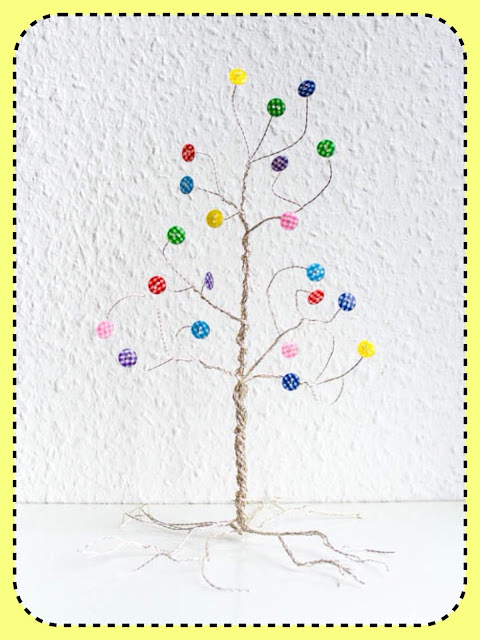 - time needed: approximately 1.5 h for one tree. 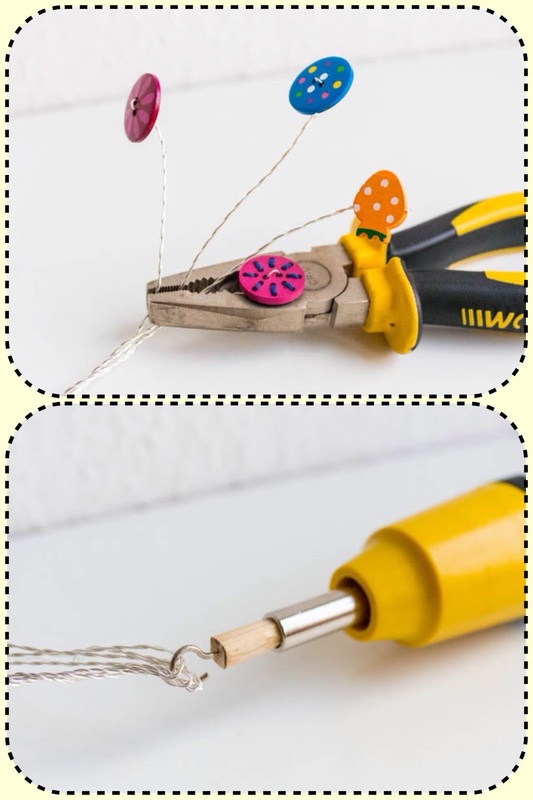 I didn't have that, so my husband made a custom tool for me, by inserting a metal hook into a small cilinder of wood and using a knife to cut the wood to fit the screwdriver's head. 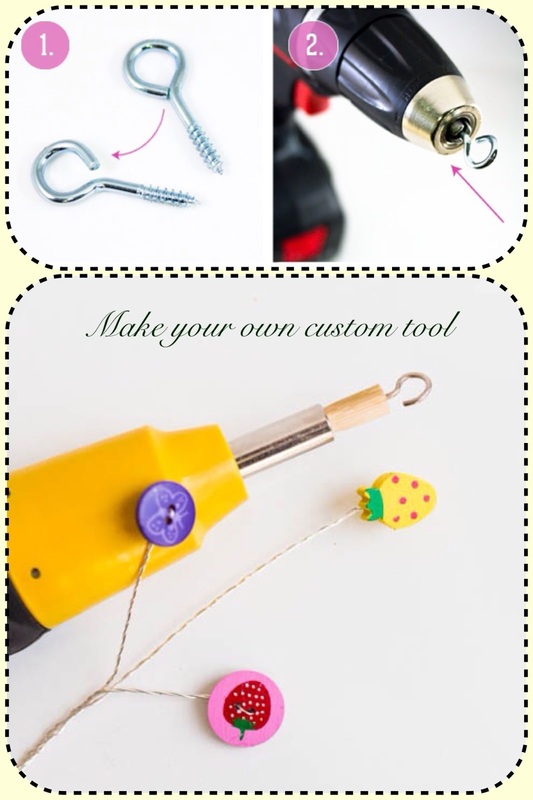 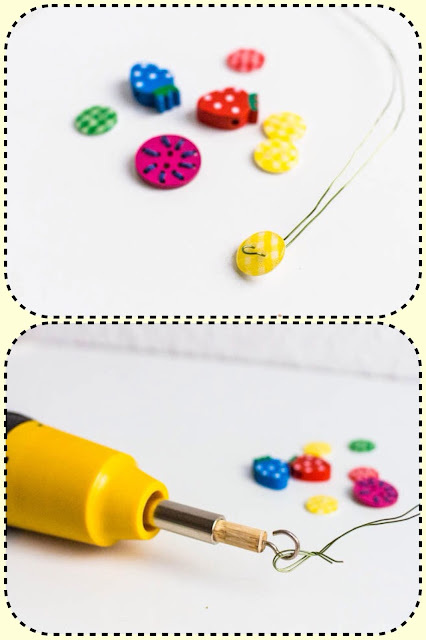 Use a marker to make a dot on the button you are using so all the wires will be twisted in the same direction!!! 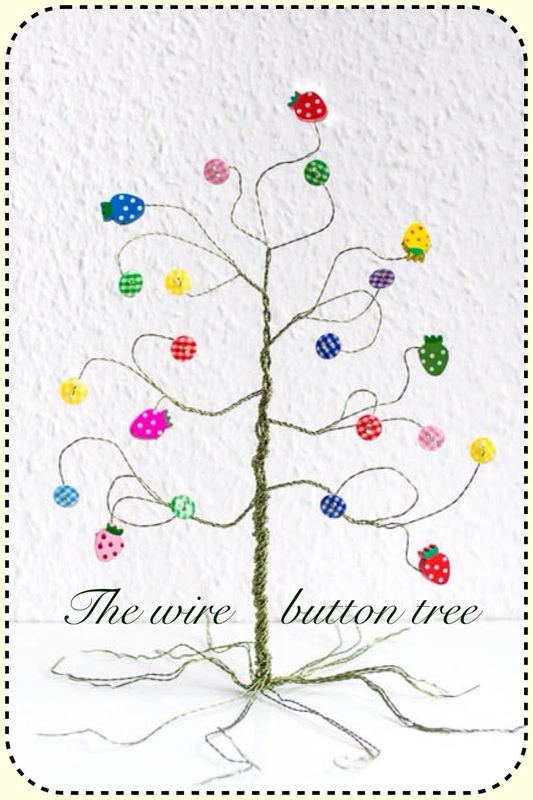 I must also warn you (and this is why I've suggested using a softer wire), I needed a little help from my husband to put together the tree in it's final shape. 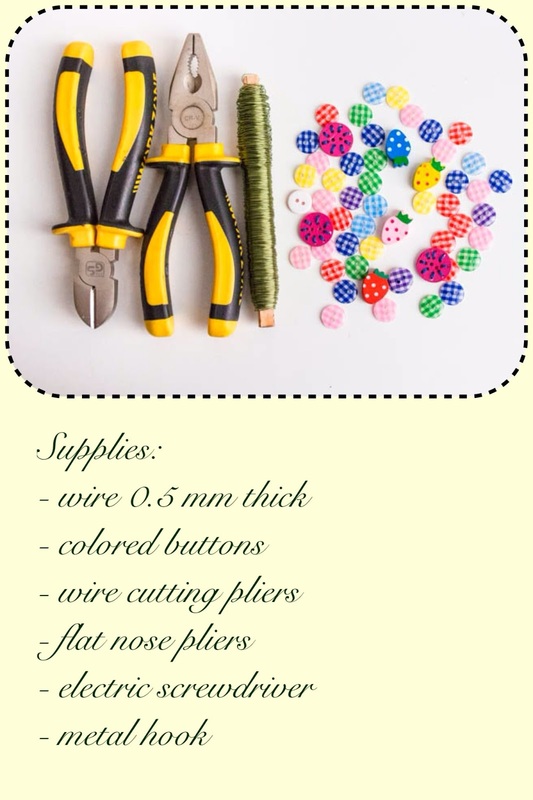 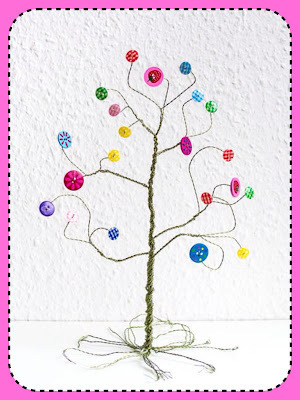 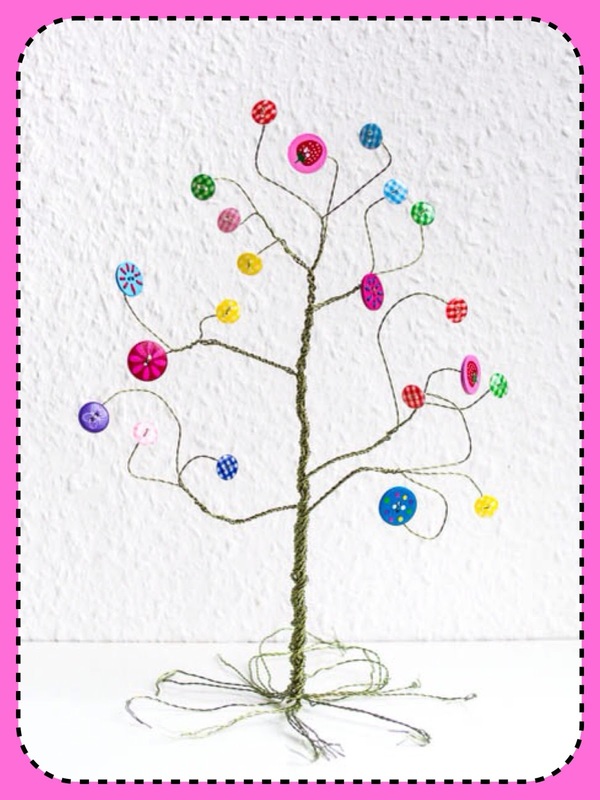 Take a few minutes and pay a visit to the amazing blog that gave me this idea, it has lots and lots of beautiful crafting tutorials!